Clorox is grateful that our products can help organizations like AmeriCares with their disaster relief efforts. AmeriCares is an emergency response and global health organization that saves lives and builds healthier futures for people in crisis in the U.S. and around the world. Since their founding in 1982, AmeriCares has distributed more than $12 billion in humanitarian aid to 164 countries. The following article originally appeared in AmeriCares’ Nepal response newsletter and has been reposted with their permission. For more information on AmeriCares’ activities in Nepal and to learn how you can help, visit the AmeriCares website. On April 25, a powerful magnitude 7.8 earthquake struck Nepal, killing more than 8,000 people, injuring many more and, in minutes, destroying homes and decimating the health system. Landslides blocked roads, cutting off access to remote mountain villages. Within 48 hours, a medical and emergency response team from AmeriCares India office was in Kathmandu, Nepal’s capital, with critical medicine for injured survivors. As the team began to treat survivors and assess damages, AmeriCares prepared air shipments of medical aid and mobilized and equipped additional staff and volunteer medical teams. Just 10 days after the earthquake, AmeriCares airlifted close to $1 million in medicine and supplies that met needs defined by Nepal’s Ministry of Health and Population and the World Health Organization. The emergency response team established a warehouse on May 10 and, within a month of the earthquake, AmeriCares had made 18 shipments carrying donations of antibiotics, wound care supplies and other medical aid valued at more than $20 million. Medical teams mobilized by AmeriCares traveled to remote areas to deliver care, even as aftershocks rocked the region. In Arughat, in Dhading District, an AmeriCares medical team was the first relief organization to arrive by land and, in just a few hours, treated 375 survivors. Within the month, AmeriCares-supported teams had treated more than 2,000 survivors—both in Kathmandu and remote mountain villages reachable only by helicopter. 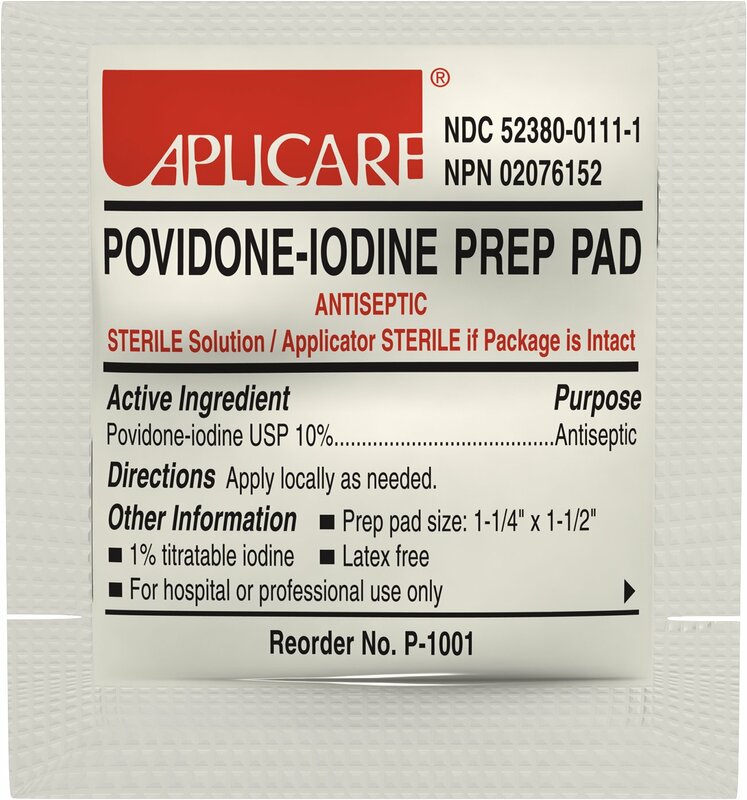 Among AmeriCares’ emergency relief for survivors of the Nepal earthquake was a generous donation of povidone iodine prep pads from Clorox’s Aplicare brand. Aplicare’s donated products were used by AmeriCares partners in the disaster zone as they treated injuries and addressed immediate health needs. The medicines were also used to resupply hospitals and health facilities whose stocks were overwhelmed once the earthquake struck. We thank Aplicare for its commitment to this critical humanitarian relief effort, yet another example of the strong partnership we’ve built since 2011. Over four years, Aplicare has donated nearly $60,000 in medicines and medical supplies to 11 countries and 23 U.S. states. This support has included almost $25,000 in supplies to AmeriCares emergency response efforts, amounting to nearly 2,500 pounds of products. Aplicare continues to help AmeriCares fulfill its commitment to saving lives and building healthier futures for people in crisis.